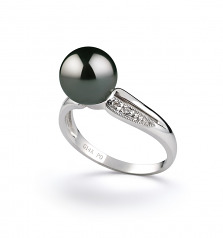 Noticing the glimmering reflection in the AAAA luster of the Tahitian can’t be helped when you first see the Caroline ring. 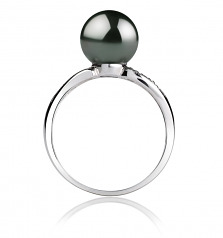 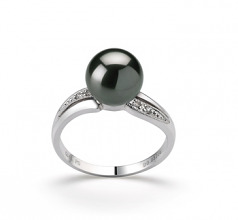 The natural mirror like luster leads the eyes to the perfect and elegant AAAA shape that defines the overall AAA grade and body of the 8-9mm Black Tahitian Pearl Ring. 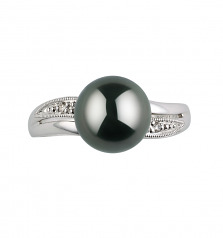 The black pearl sits high atop the 14K white gold ring. The 14K white gold ring features a classy and sophisticated half swirl pattern on both sides of the magnificent pearl. 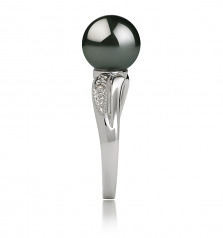 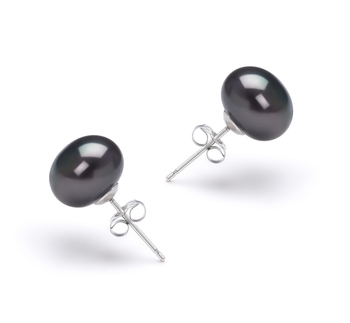 Each side features diamond accents that naturally play off the light and luster of the Black Tahitian Pearl. 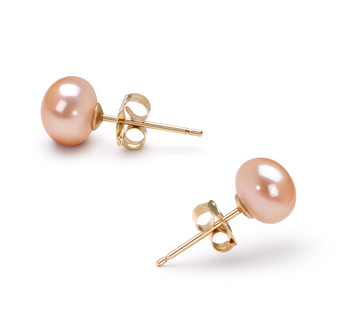 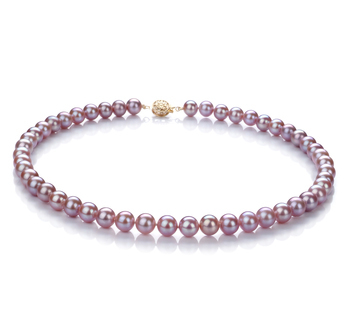 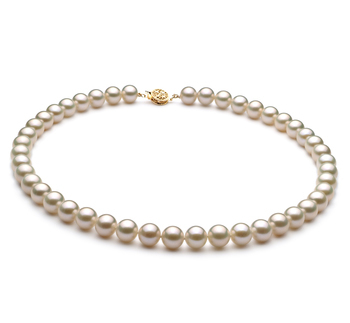 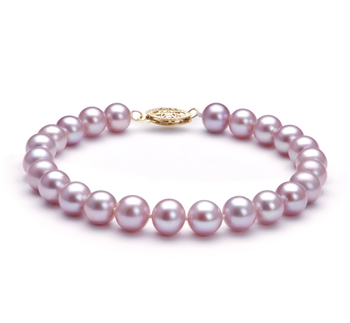 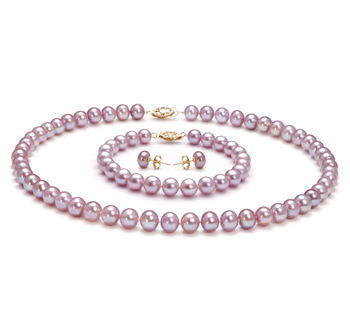 The Pearl set is clearly a noticeable design and one that fares well when kept to wear to formal affairs.